From the Mary Bate Collection. Joseph Plura was the son of an Italian Sculptor who had settled in bath. This is the only work by him known to survive. 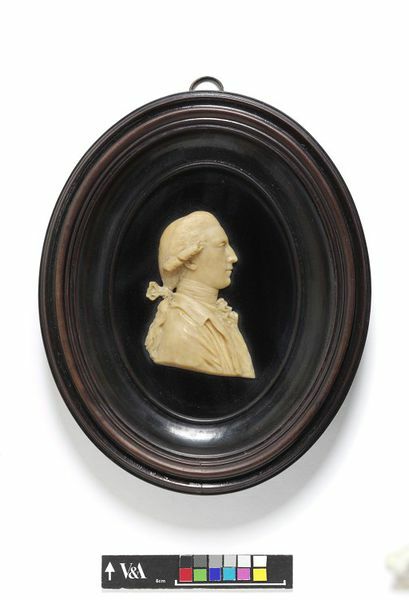 The profile relief, in cream wax, of Joseph Plura the Younger, is shown facing to the right. He wears a wig curled over the ears and tied with a ribbon at the base of his neck, and an open coat with a neckerchief and a high collared shirt. 'JOSEPH PLURA. The great grandfather of John Stothert Bartrum J.P. of Bath, who at the age of 84 gave me this medallion as a keepsake, when I left Bath in June 1900. Percy Bate. 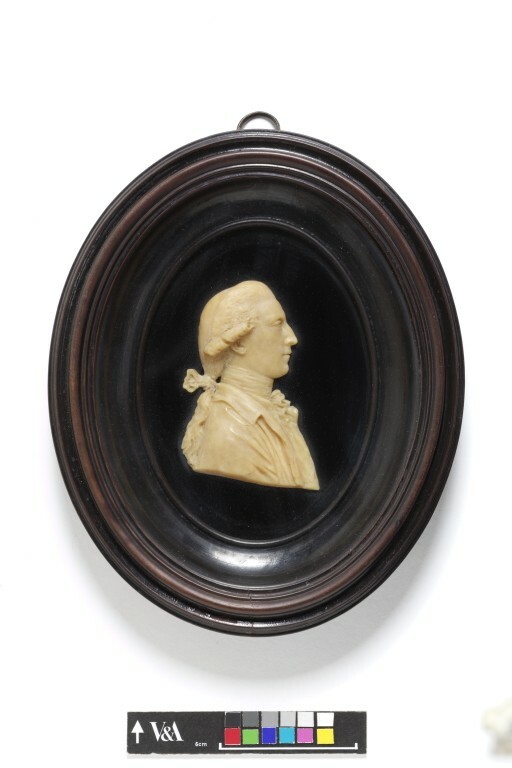 Joseph Plura was an Italian sculptor who settled in Bath, and this portrait (his own work) was given by him to Miss Elkington, and by Mr Elkingtom to John Stothert Bartrum. Joseph Plura's widow died at 3, Old King St. Bath aged 91 about 1827, and was buried at Colerne. His son Joseph was an auctioneer at 10 Milsom St. Bath. He is said to have been the sculptor of the 'Beau Nash' in the Pump Room Bath. These are notes from M.J.S. Bartrum's verbal information June 1900. Percy Bate Glasgow MCM'. From the Mary Bate Collection, ex. loan 128. Bought from Philip Bate for £100. 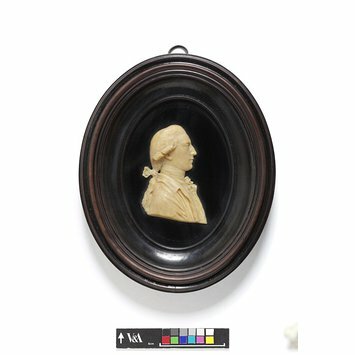 Joseph Plura was an Italian sculptor who settled in Bath and this portrait (his own woork) was given by him to Miss Elkington and by Mr Elkington to John Stothern Bartrum. Joseph Plura's widow died at 3, Old King St, Bath aged 91 abour 1827 and was buried at Colerne. His son Joseph was an auctioneer at 10 Milson St Bath. He is said to have been the sculptor of the 'Beau Nash' in the Pump Room. Fleming, J. 'The Pluras of Turin and Bath', The Connoisseur, CXXXVIII, 1956, p. 181, fig. 9. Pyke, E.J. A Biographical Dictionary of Wax Modellers, Oxford, 1973, p. 112, fig. 223.